When I was pregnant, I was convinced that I was going to exclusively breastfed Aimery for a long time. I didn't have a lot of plans for pumping, and formula was totally off the table. I don't even think I had bought a can of formula before Aimery was born. I was determined that I was going to breastfeed Aimery and that was the end of discussion at the time. But when Aimery finally made his appearance (two weeks late), I may have breastfed for a whole 24 hours before I realized that it wasn't for me. After going through an extremely long, all natural labor, my body was exhausted. I couldn't even take care of myself, let alone a newborn baby that wanted to be latched on 24/7. Through that experience, I would tell every pregnant mother to not have ANY expectations on feeding before their baby is born. Have comfort knowing that every feeding experience is going to be different with every baby you have! And just remember, fed is best. In the end it doesn't matter how they were fed, as long as they were! After I decided that breastfeeding wasn't for me, I went on to express pump. I pumped for Aimery until he was five months old. Although I loved being able to provide all the milk he needed for those five months, looking back I wish I would have supplemented formula earlier. For the first five months of Aimery's life, I was pumping milk for him every 2-3 hours, even throughout the night. After giving birth, I had an oversupply. At first I thought it was great because I was able to have SO much milk stored in the fridge! Then as he got older, I realized why I had an oversupply. Because he needed it! At one point Aimery was drinking over 60 ounces of milk everyday, and the only way to keep up was express pumping and only sleeping for a few hours at a time. I went back to work when Aimery was two months old, and my milk supply started plummeting. I couldn't keep up with working 8 hours a day, going to school, taking care of a baby, AND feeding him on my own. I don't think anyone can really keep up with all of that! The people in my life at the time were encouraging me to keep going because it was healthiest for the baby. Looking back, I realize that although that may be true, it wasn't healthy for me. I was constantly stressed, overwhelmed, and even depressed because I wasn't able to keep up with Aimery's constant need to be fed. Next time, I am definitely going to give myself some grace and supplement formula WAY earlier. I will never allow myself to ever be stressed out about whether or not I'm going to have enough milk for my baby again. In my opinion, that's what formula is for! I finally started Aimery on formula when my stored breastmilk ran out when he was five months old. I was really anxious about how his body would react, but he ended up doing great on it! All of my fears went away and I was finally able to start putting myself first. I finally felt like I had the freedom to care of my needs instead of always putting Aimery first. My relationship with Aimery got SO much better, as I found that pumping so much was hurting our relationship. 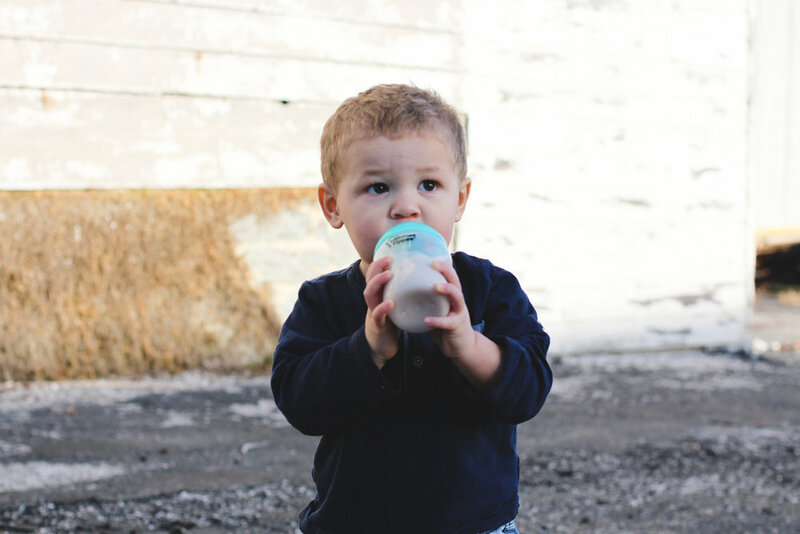 I decided to start him on this formula which was great because it gave us an organic option that was also good on his stomach since he's sensitive to milk. I kept Aimery on formula until he was 11 months old and he was eating primarily solids. Since Aimery was sensitive to milk, I decided to give him almond milk instead of whole milk when he was 11 months old. You have to be really careful doing this, because it can sometimes be hard for babies to get enough fat in their diets of just solids. 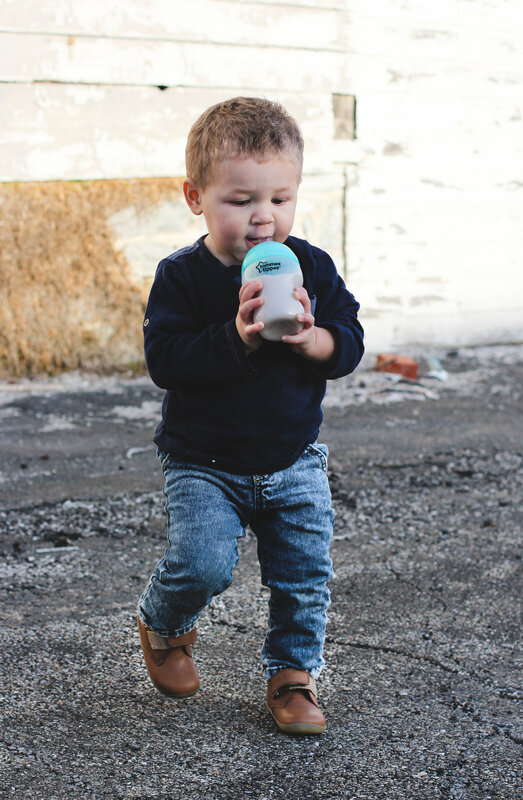 I'm no doctor, so be sure to ask your pediatrician before switching your baby to almond milk! Aimery was definitely eating enough at the time so it wasn't a concern for me. The only problem I found with him drinking almond milk is that it didn't keep him full to sleep through the night. I wish I would have tried to give Aimery whole milk before bedtime to help them stay full, because I think it really would have helped him to sleep through the night sooner. When it came to bottles, Aimery used this one the entire time he was bottle feeding up until recently when we found this one. Aimery was bottle weaned about four months ago, but sometimes when he is sick I still allow him to have one just because he seems more comfortable drinking liquids out of a bottle instead of a sippy cup. 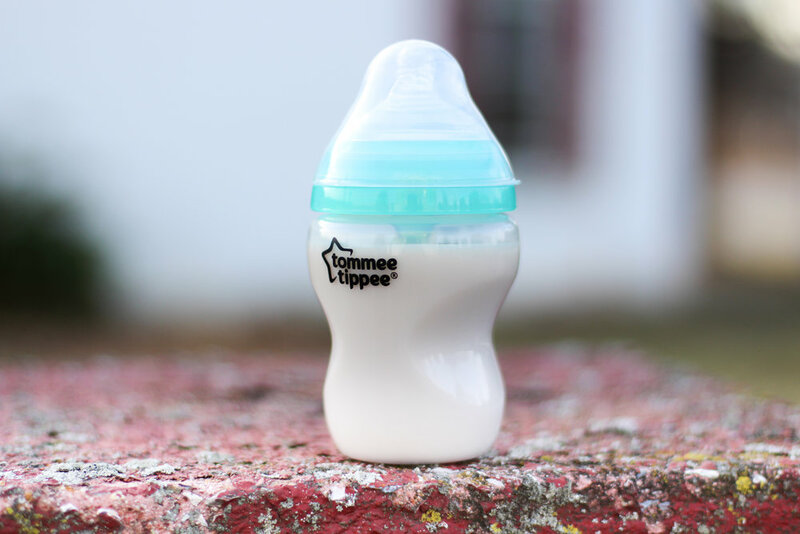 Get 20% off Tommee Tippee bottles with promo code: 20BUBBLES31 using this link. Everyone's feeding journey is different! As a mom, only you know what is best for you and your baby! 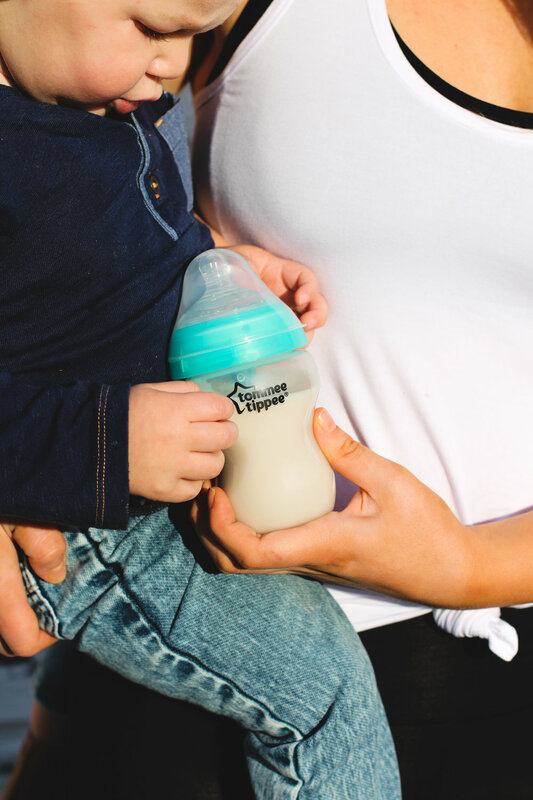 Comment your feeding journey with your little one below.